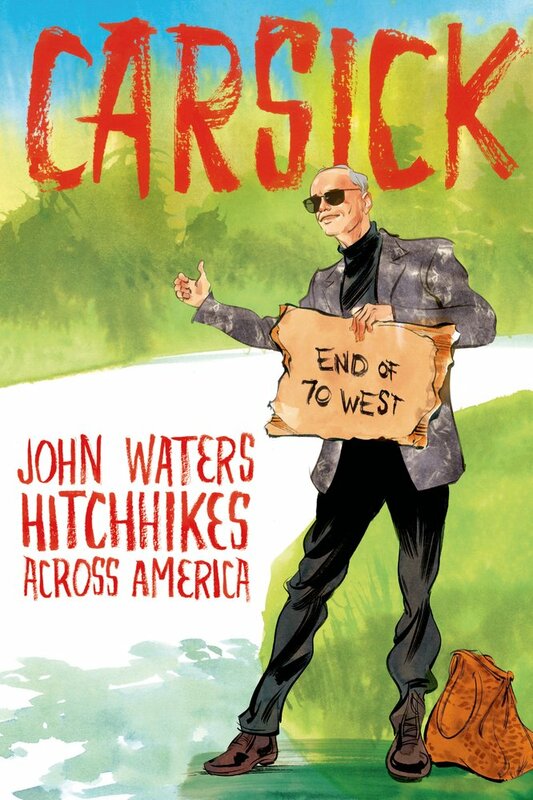 Cult trash film director John Waters hitchhiked from his home in Baltimore, Maryland to his apartment in San Francisco in 2012. This book details his journey. Carsick is made up of three parts; first he fantasizes about the best that could happen on his trip, then the worst, and finally what actually transpired. I found each part captivating. Fans of Waters could guess what his fantasies are like. The best guesses feature monetarily generous drug dealers, a demolition derby interlude and running in to old friends who had died years ago. The worst include terrorist drag queens, murderers and murderer impersonators, fans who obsessively quote his movies and the Kansas vice squad. The worst chapter was the most fun. Waters’ recount of his actual trip is not as outlandish but no less fun to read. He is an observant, funny and engaging narrator. His trip features more standing around on-ramps than he anticipated, but the people were far kinder and more generous than one would anticipate. Several thought he was homeless and on a couple of occasions people forced him to take money. He found numerous men who professed their love for their wives, a kindly band of people from the fracking industry and an 80-year-old farmer. The deepest connection Waters made was with a young Republican town councilman in a Corvette who had so much fun driving with Waters that after leaving him, he joined up later on to continue the trip, much to his parents’ chagrin. As anyone who has seen Waters’ work can imagine, this book is a little sick and twisted. Even so, I challenge anyone to find a better summer read.